Those are pretty impressive credentials and he’s a major reason why I’ve become convinced that much of our conventional low-fat/high-carb government-sponsored nutritional advice is bad news, and that a high-fat (including saturated fat) low-carb strategy is the ideal. Attia is also a fairly decent swimmer, cyclist and avid weight trainer. Thus he has an interest in nutrition not only for health but also for athletic performance. 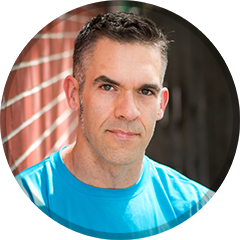 He discusses his personal nutrition journey in four parts: why he decided to lose weight, how he lost weight (ketogenic diet), how he reduced his heart disease risk, and how a low-carb diet affected his athletic performance. It’s all very detailed and very compelling. If any of this sounds interesting to you, go to the Start Here link and read more. On September 14-15, I participated in the SavageMan double triathlon, a tough weekend of racing in Western Maryland that includes an Olympic distance triathlon on Saturday and then a half-iron distance triathlon on Sunday. While the Olympic is tough, it is the half- that has earned a reputation as one of the hardest races around: It features a bike course with over 6000 feet of climbing, including two uncategorized climbs. The first of these, the Westernport Wall is 1.2 miles long with an average grade of 12% and a max grade of 31%. Stand there long enough and you are bound to see someone literally start rolling backward. Watch this video and you’ll get a feel for the brutal nonsense. I have done the double two years now, but this year was different. This year I was going to try it on a high-fat/low-carb eating protocol – I was going to use a ketogenic diet to race in a state of dietary ketosis. I won’t get into the nuts and bolts of the ketogenic diet but in the big picture, the diet has me burning fat instead of carbs for the vast majority of the race. This is in contrast to the typical high-carb diet favored by most endurance athletes. The limitation of the high-carb approach is that you must continually consume bars, gels, sports drinks and all kinds of food in order to avoid running out of fuel. This means carry lots of additional fuel and tweaking the fuel mix just right so you don’t undergo dietary distress. For more information, I highly recommend the work of Dr. Peter Attia at the Eating Academy, Ben Greenfield, and Drs. Stephen Phinney and Jeff Volek at the Art and Science of Low-Carb. Each of these resources explain the ideas and science behind ketosis and the ketogenic diet much better than I, but the basic premise is that in going into ketosis, your body burns fat for fuel instead of carbohydrate. Given that fat stores are significantly (20x) larger than glycogen stores, it is a compelling experiment for long distance athletes. The numbers in the table are in grams. As you can see, a majority was in fat – on this day I actually overshot my fat goal and was short on my carb and protein goals. You will also notice that my sodium is high – this is a crucial aspect to doing keto right. When carbs are minimized, the kidneys leach out sodium faster than normal, so it is important to increase sodium intake to maintain healthy blood pressures and the muscles’ electrical impulses. Going into the race, my plan was to rely on this protocol and not use my usual pre- and mid-race fueling strategies. I was going to minimize my calories taken in, typically on the bike, because I was going to fuel my race with my own fat stores. Going into the race, my diet remained much the same in terms of the ratios above. On race morning both days, I had a cup of upgraded Bulletproof Coffee – a recipe borrowed shamelessly from Ben Greenfield. One cup of coffee, 2 tablespoons each of butter and coconut oil, 4 tablespoons of heavy cream, a packet of Stevia, ¼ teaspoon of cinnamon, and a ½ teaspoon of cocoa. I put all this in a blender until it was foamy on the top and completely mixed. This totaled 650 calories with 72 grams of fat, 4 grams of carbs, and 1 gram of protein. If nothing else, not sitting down to eat a meal and having all my calories contained in a cup saved a ton of time and a lot of hassle. Thirty minutes prior to the race, I sipped a cup of chicken bouillon, with 1 gram of sodium in it. Five minutes before the race, I used a packet of Vespa Jr., a product that helps tap into fat burning (www.vespapower.com). It calls for UCAN Superstarch, a gluten free complex carbohydrate that stabilizes blood sugar; electrolyte pills, and various other ingredients. In short, it’s not the usual bike bottle full of sugar based energy drink. However, on Saturday the mouth of my bottle was clogged and I couldn’t get anything out. I rode the entire bike course without taking in any calories. Coming off the bike I felt pretty good, so took off on the 10K run – felt good through the first aid station where I didn’t take anything, and then the second aid station. In the interest of continuing the experiment, while I probably should have taken something at mile four, I ate nothing. I finished the Olympic tri without ingesting a single calorie since the Bulletproof Coffee in the morning, and I felt good! So good, in fact, that I was able to run a second 10K with my dad, who was also doing the race and finished the bike just as I had finished the run. I consumed three pretzel sticks at one aid station while running with him, but otherwise water. Results: 1st place in my age group and 12th place overall. My finishing time was 2:25 on a notoriously difficult course. The next day was the half-iron and the protocol was the same. Same coffee, broth, Vespa pre-race. I made sure both bottle tops were functioning because the half is such a long day. I have only gone under 6 hours twice on this course, even though on a “normal course” my half-iron PR is 4:45. It was a hard day right from the start and I didn’t feel like I had good legs for the ride. I used both bottles of my drink, but no other calories – for this race, I am usually a buffet on two wheels throwing back gels, bars, and energy drinks. Going into the run, I was not feeling good – a hard bonk was setting in and I had struggled the last 20 miles on the bike. The first five miles of the run were mostly walk, but I came away from the low carb protocol (and you may have noticed, very little sugar), and started drinking Coke from the very first aid station. It was all I took – no water, no food, no energy drinks. One or two cups at each aid station – my body was craving the sugar – and interestingly, slowly, I was able to recover the back half. The last seven miles I was able to run an honest race, something that did not seem possible when I first came off the bike. The whole race was an incredible learning experience, and while the second day did not go as well as the first, I raced a half ironman on the heels of an Olympic (plus an extra 10K) on very few total race calories. My recovery and refueling time on Saturday was compressed, and I think if done differently, I would have focused on that more – putting in more calories, ensuring that I stayed in ketosis, and doing more recovery and mobilization. On Sunday, given the type of effort it is, I would have ingested more carbs earlier in the day on the bike – as Peter Defty of Vespa says, with the high fat diet, when carbs are ingested properly, they work better than if following a normal eating protocol. Like any eating protocol, I advocate following something that works for the individual, and is sustainable. Going keto has worked well for me. It is allowing me to go farther on much less, but may not be right for everyone. Despite the misconception that eating a lot of fat will beget fat, I lost about 5 pounds and raced at about 165. My body fat remained between 6-8%. I am awaiting my blood work from Wellnessfx.com. I purchased their baseline panel and got tested prior to going keto and will be interested to see where and if the numbers have changed. I am really interested in seeing my cholesterol number. My LDLs were a little high. The rest of my numbers were low. Interestingly, the science suggests that contrary to medical guidelines and popular thinking, this ketogenic protocol could help lower cholesterol. I’ll post those numbers once they’re available. For anyone interested in the hard science behind ketosis, I again recommend Drs. Phinney and Volek’s books – while technical, they provide excellent information based on science and research. Thanks to Kyle for letting me guest post on his blog. If anyone has specific questions about my experience and going keto, I can be reached at mdpiet@aol.com.